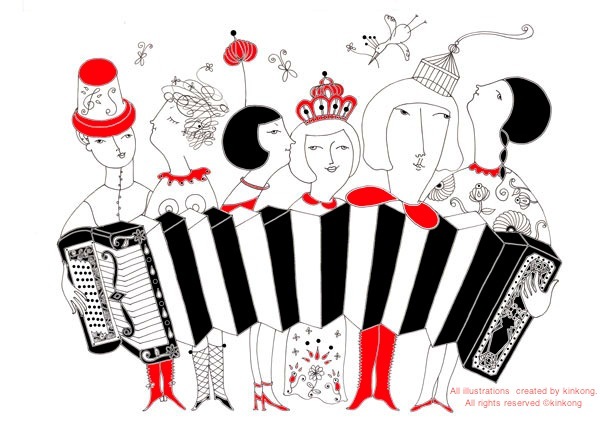 Go Go Accordion Girls: Have a lovely weekend! Horse and Go go Accordion Girl. Kiyoto Fujiwara / Jump Monk Bass Band Special!